don't spend another night suffering! Where should we send your Snore Defense? What material is Snore Defense manufactured from and is it safe? 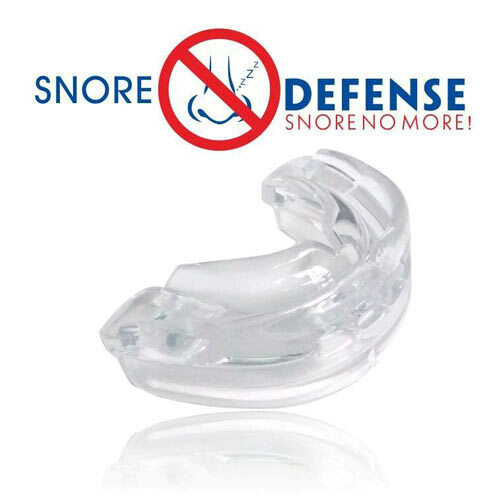 Snore Defense is manufactured from a thermoplastic elastomer that meets FDA standards. The material from which Snore Defense is made underwent a series of FDA safety tests to gain FDA Clearance. Snore Defense is also certified by the agency of Good Manufacturing Practices. Thermoplastic elastomers (TPE), also known as thermoplastic rubbers. They are a class of copolymers or a physical mix of polymers (usually a plastic and a rubber) which includes materials with both thermoplastic and elastomeric properties. Thermoplastic elastomers combine the beneficial properties of both rubbery materials and plastic materials. The thermoplastic elastomer (TPE) material has passed numerous consumer safety tests and does not contain latex or BPA (Bisphenol A).